Jack started participating in Special Olympics via the Young Athlete Program when was 2 years old. He just turned 12 on Friday so we have been participating for 10 years!! When Jack turned 6, he participated in the Young Athlete transition events and competed in snowshoeing, running and soccer skills. I think that transition training was more important for me than it was for Jack. It was a big adjustment to stand up in the stands and watch him go with volunteers to the starting line. I’m sure I’ll never forget the first time he fell while snowshoeing and I had to stand and watch as he struggled to stand back up. In typical Special Olympics fashion, all of the volunteers and spectators started cheering for him to get up and I just stood anxiously on the sidelines hoping that he’d figure it out. When he finally did, I realized that nothing would ever replace the pride he felt in doing it all himself! Now that Jack is 12, he competes in swimming, basketball, unified golf and track and field. Jack is also a Global Messenger and LOVES to put on his blazer and tell people about the impact of Special Olympics on his life. When Jack started participating in the Special Olympics Young Athlete program, it was a time in his life where we constantly had to have conversations with doctors and therapists about the milestones Jack was NOT achieving. 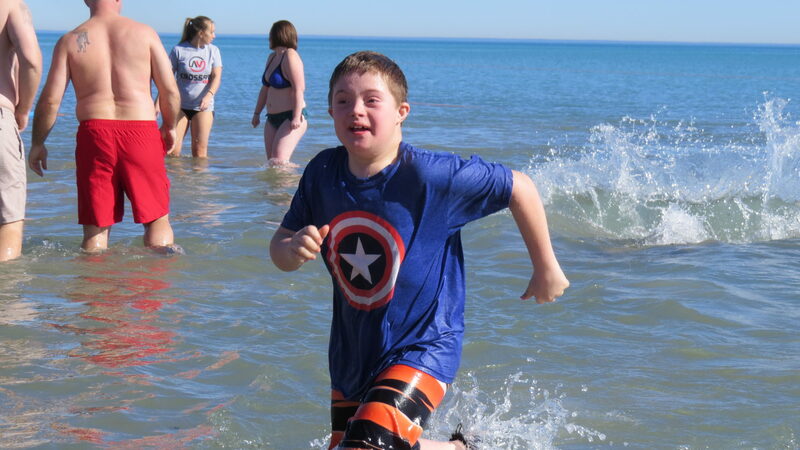 We fell in love with Special Olympics because it was the first place we just got to celebrate Jack – and every other athlete. We didn’t have to compare him to others and we got to focus on what he COULD do, not what he couldn’t do. All of the staff, volunteers and families have become members of our extended family. 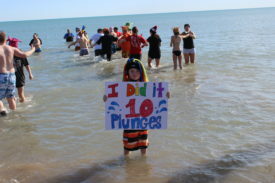 We took our first Polar Plunge in 2010 at Fox Lake and found out that someone we knew did the Super Plunge. So, in 2011, Dave and I had to start Super Plunging. In 2015, Jack joined us for 5 plunges, then 10 in 2016 and 15 in 2017. He is planning to join us for 15 again in 2018! Jack’s sisters have also started taking single plunges. As a family, we have plunged over 375 times. We have learned so many valuable lessons from Jack. Since he started therapies at 4 months old, I have always been impressed and inspired by his willingness to work hard and accomplish tasks that weren’t easy or natural for him. Jack has an amazing way of looking at every coming moment as a new opportunity to succeed, despite what happened last time. I guess plunging with him is the same thing. While freezing, each plunge is also invigorating, empowering and fun. We are inspired by his enthusiasm to go back in the water despite knowing that its cold. We are just so proud of Jack and our daughters for plunging and love that we’ve added it to the long list of things we do together as a family. 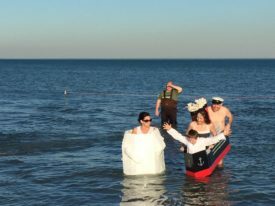 There is a very special camaraderie among the Super Plungers whether we’ve been plunging together for years or the first time. It is a lot of fun to spend 24 hours with a great group of people that share a common passion. It is great that we can use this event to build a lot of awareness for Special Olympics.